There are different ways to do it, especially the shiny metal frame around the button. I chose to show you an alternative way of doing it, because it might be useful for creating other things in GIMP. Set Foreground colour to white, then using Bucket Tool fill your background. We need to create two guides, because they will help us with aligning. Repeat this step but this time change Direction to Horizontal. Now you should have white background with two guides see fig 1. 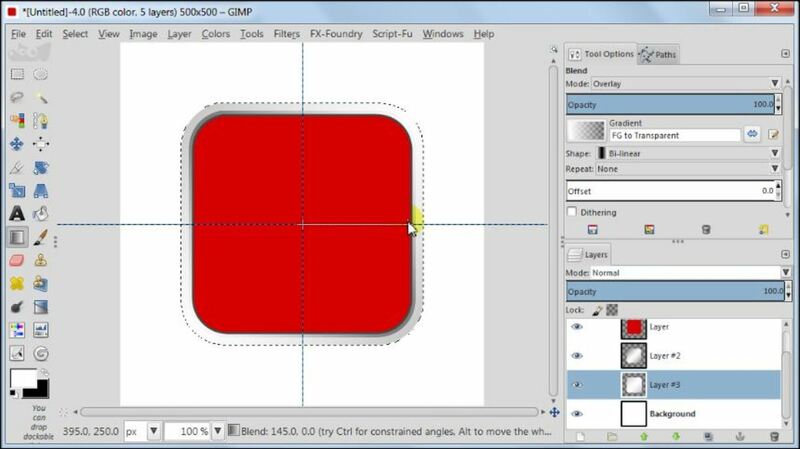 Create a New Transparent Layer by going to Layer / New Layer / Transparency. Then pull a square from the centre of the image see fig 2. 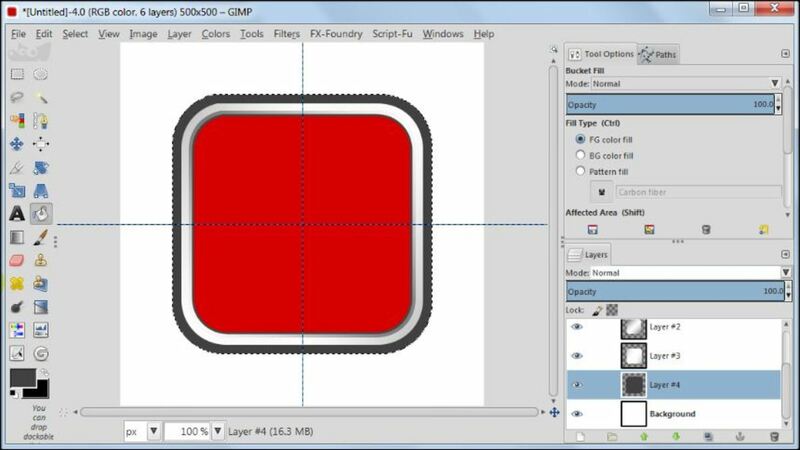 Next go back to Tool Options and set Size to 300 x 300px, this will be the size of your square. Now I want to mention why I will be converting all my selections to Paths, it’s because this way I can avoid jagged edges and the final result will look much better when used through Paths. Go to Paths tab and create a Path from selection, for this you need to click on the third icon on the right see fig 3. Remove the selection by clicking anywhere on the canvas around the image. Click on the third icon on the right in the Paths tab (just next icon to the one you clicked before) to load selection from Path. Set your Foreground colour to red #d70000. Take Bucket Tool and fill the selection. Go to Select / None. 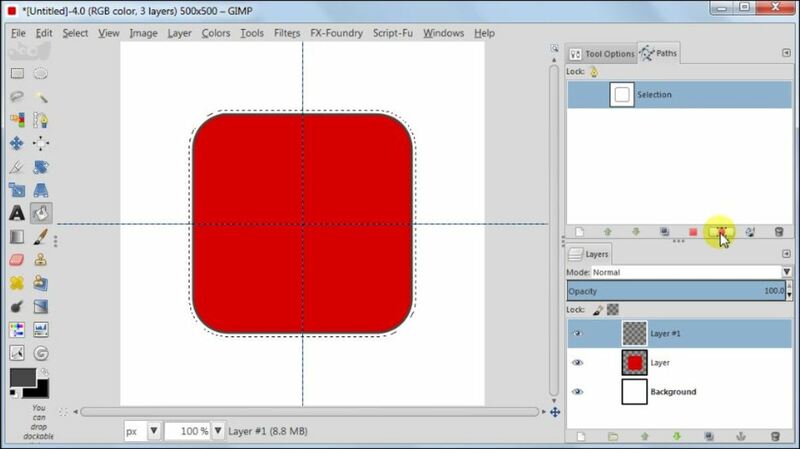 Now you should have a background layer and a layer with red square see fig 4. 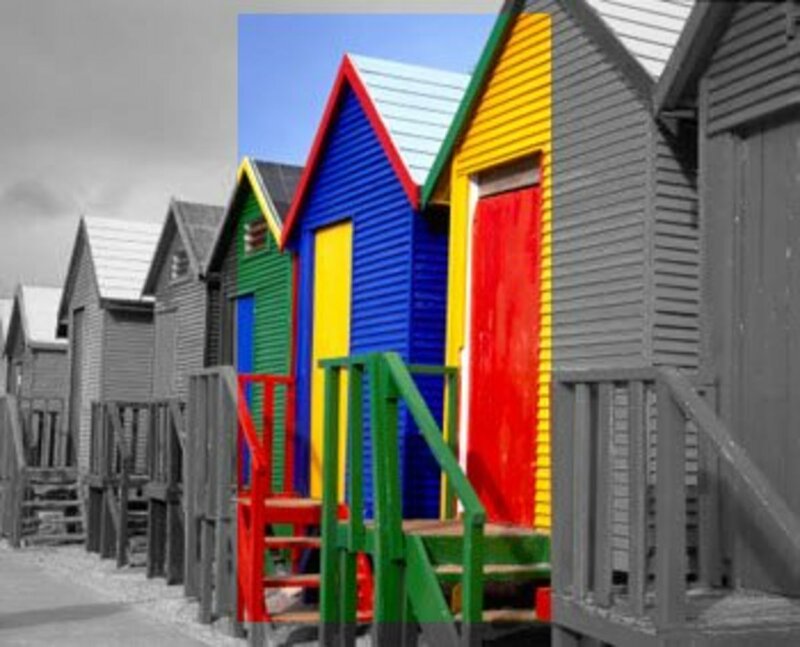 Create a New Transparent layer, set your Foreground colour to #474747. Go to Paths tab and click on the second icon on the right to Stroke path. Set Line width - 3px, leave the rest at default settings see fig 5. Load selection from path by clicking on the third icon on the right like we did in the Step 4. Go to Select / Grow, enter 6px. Turn this selection to Path by clicking on the third icon on the right see fig 6. Load selection from the Path we just created by clicking on the third icon on the right. 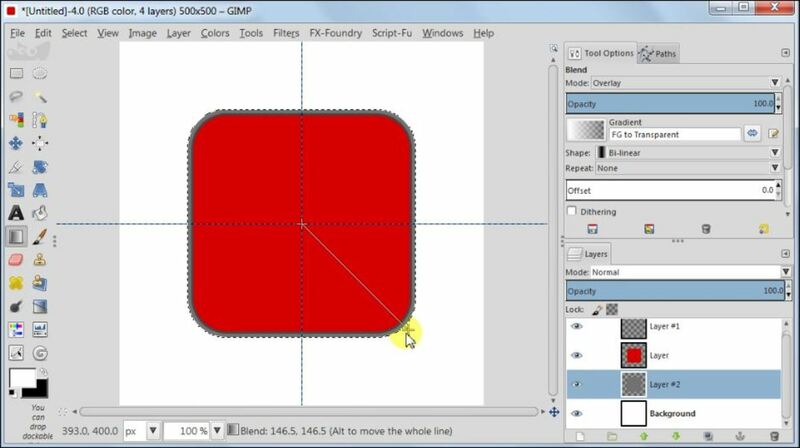 Move this layer down below the layer with red square using the green arrow at the bottom of the Layers tab. Set your Foreground to #727272 and using Bucket Tool and fill the selection see fig 7. Keeping the selection go to Select / Grow, enter 1px. Set your Foreground to White. Pull gradient from the middle of the image to the bottom right corner see fig 8. See result in fig 9. 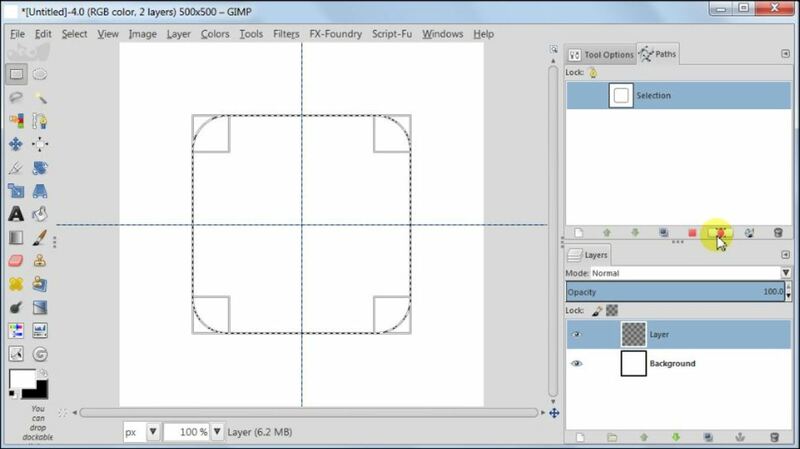 Select Background layer, next create a New Transparent Layer just above it. Load selection from the second Path we created, go to Select / Grow, enter 10px. Turn this selection to Path by clicking on the third icon on the right see fig 10. As you may notice, we are repeating our steps, so some of the functions should become familiar to you now. Set your Foreground to #c6c6c6 and using Bucket Tool and fill the selection see fig 11. Make sure your Foreground is White. Take Blend Tool, use settings from the last time, pull gradient from the middle of the image to the bottom right corner twice. Then pull once from the middle of the image to the right see fig 12. Keeping the selection go to Select / Grow, enter 12px. 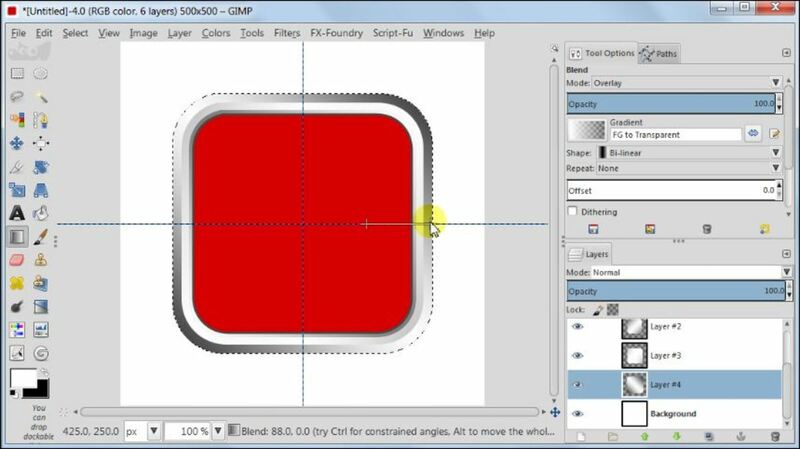 Select Background layer, then create a New Transparent Layer just above it. Turn this selection to Path by clicking on the third icon on the right. Set your Foreground to #414141 and using Bucket Tool and fill the selection see fig 13. 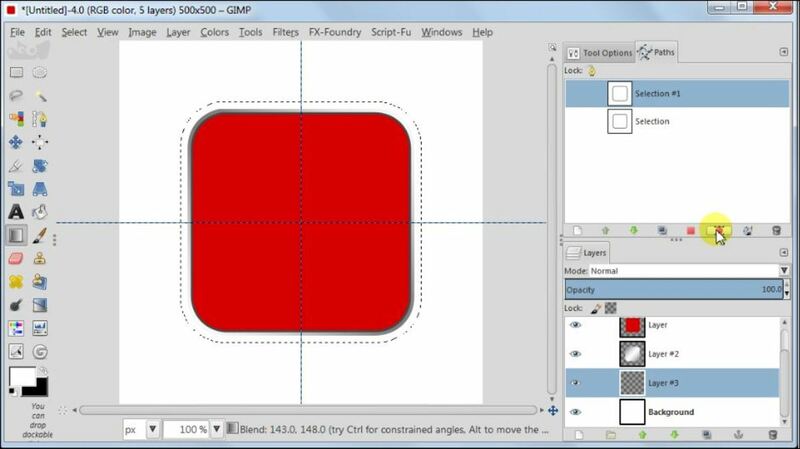 Take Blend Tool and using the setting from the previous time pull gradient from the middle of the image to the top right corner. Do it four times. Then pull gradient halfway between the middle of the image towards the right side see fig 14. Now do the same on the left side of the selection. Pull one more gradient from the middle of the image towards the right the end of the selection. You button should look now as in fig 15. Set your Foreground to #c6c6c6. Go to Paths and click Stroke Path. Set Line width to 3px, the rest leave at default settings, click Stroke. 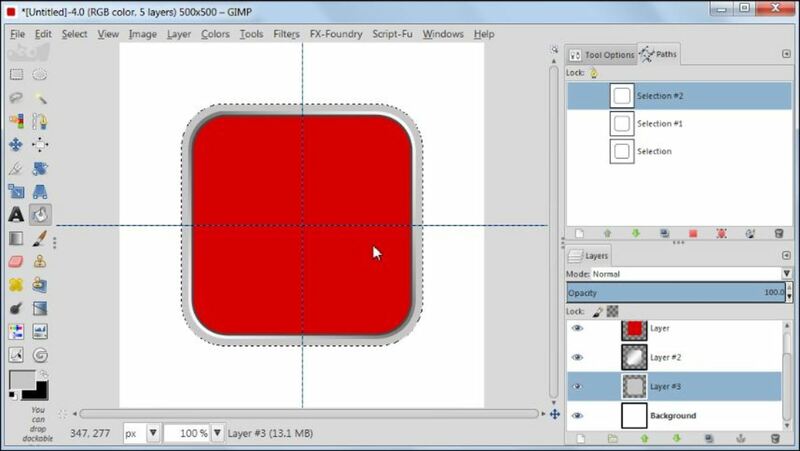 Select the Layer with Red rectangle. Go to Paths, select the very first path we created, load the selection from the path. 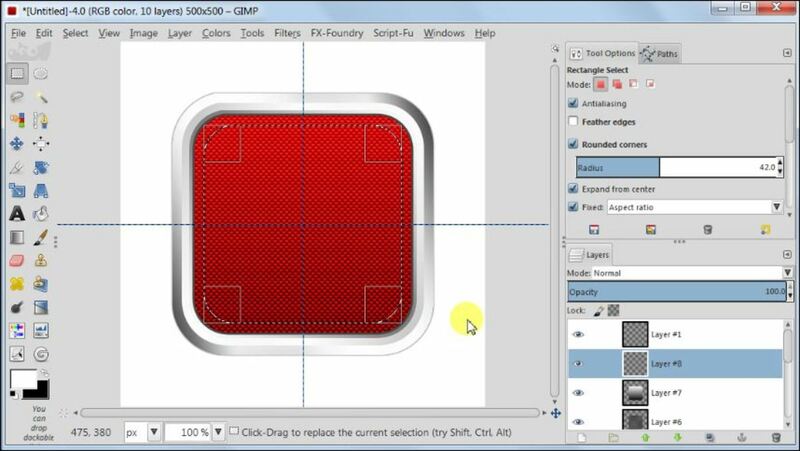 Take Bucket Tool, go to Tool Options select Pattern fill. There select Carbon Fiber pattern and fill the selection see fig 16. Set your Foreground to White, Background colour to Black. 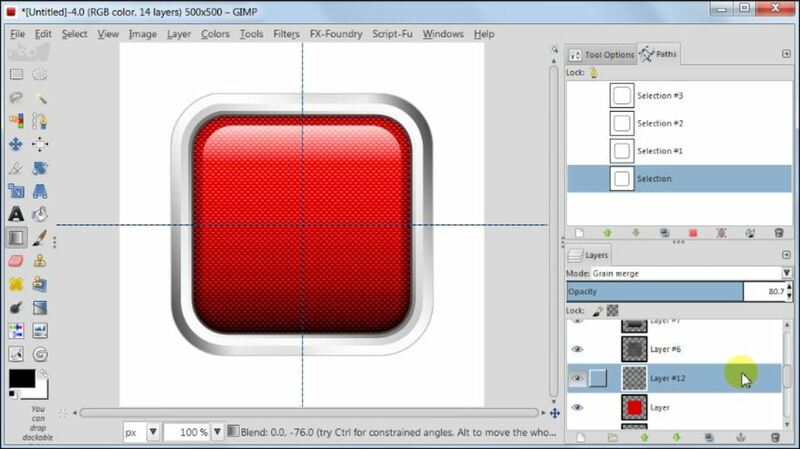 Take Blend Tool, set Gradient – FG to BG, Shape to Linear, change Mode to Normal. Set this layer to Overlay and layer with Pattern to Grain Merge see fig 17. 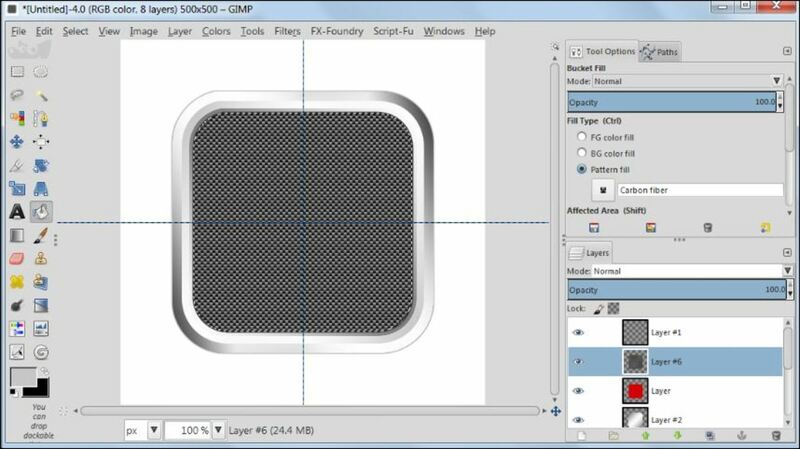 Create a New Transparent Layer just above the Layer with Black & White gradient. Take Rectangle Select Tool, in Tool Options change Rounded corners Radius to 42px. Pull selection from the middle of the image so that it’s a bit smaller than the red square see fig 18. 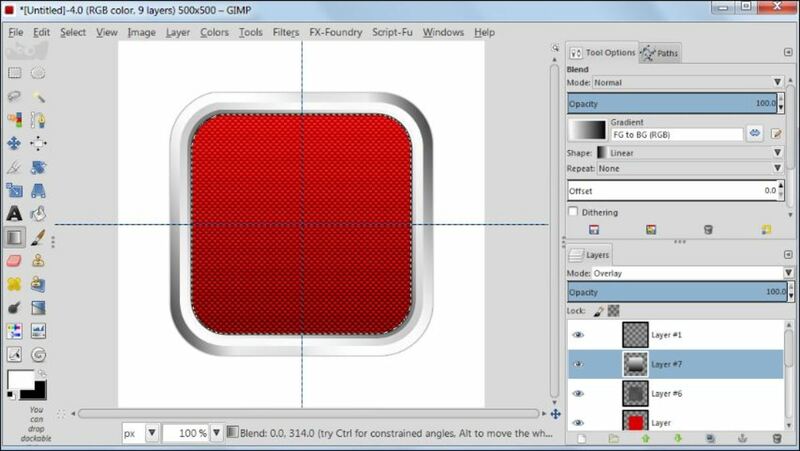 Take Blend Tool, in Tool Options set Gradient - FG to Transparent. Pull gradient from the top of the selection to the bottom of the selection. Set this layer to Overlay and duplicate it by going to Layer / Duplicate Layer..
Keeping the selection, create a New Transparent Layer just above the Layer with white gradient. 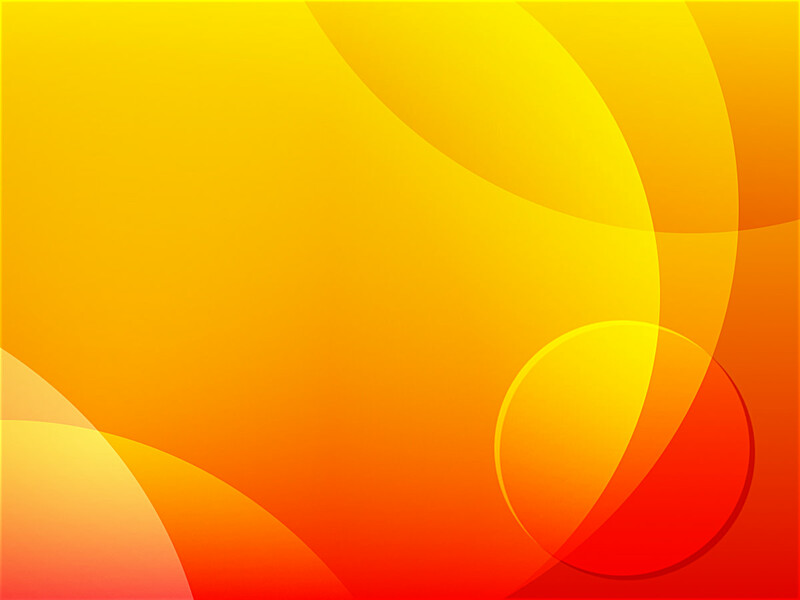 Using Blend Tool, pull gradient from the top of the selection 1 cm down. Reduce the Opacity of this layer to 85% see fig 19. Go to Paths and select the very first path we created. Load Selection from the Path by clicking on the third icon on the right. Select the Layer with Black & White gradient. Create a New Transparent Layer just above this layer. Set your Foreground colour to Black. 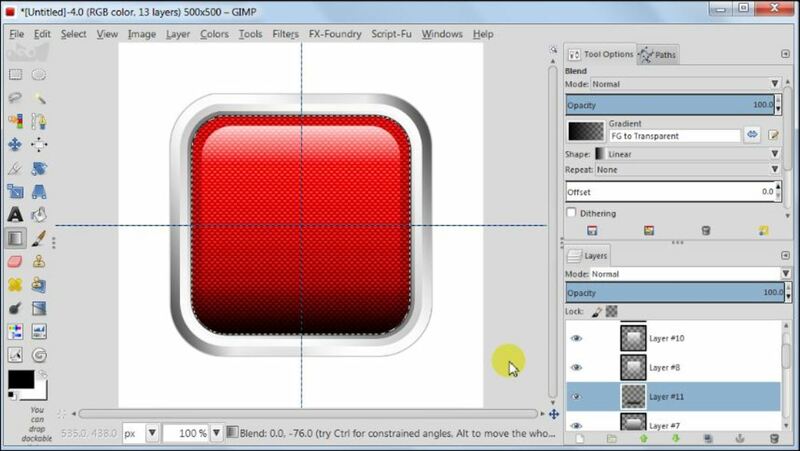 Take Blend Tool, use settings from the previous time, pull gradient 1cm up from the bottom of the selection see fig 20. 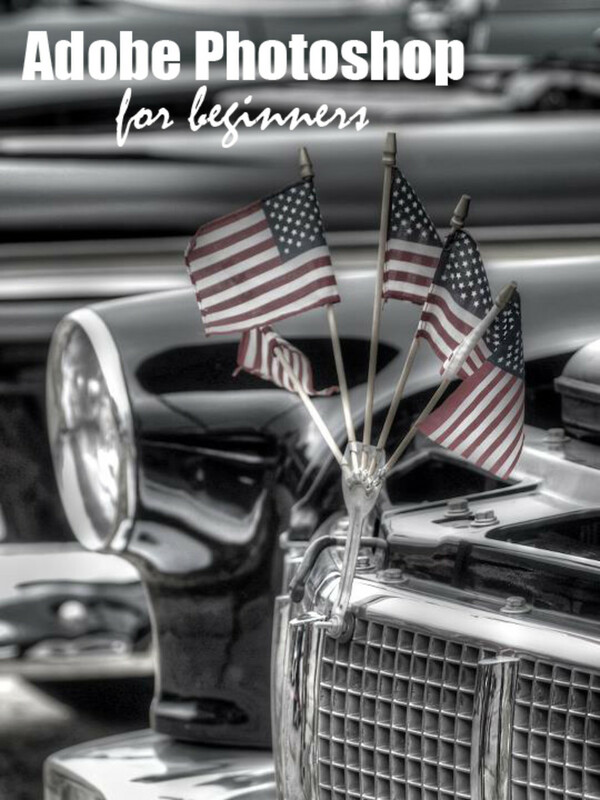 Set this layer to Grain Merge and reduce Opacity to about 65%. Your Foreground should be set to Black. Go to Paths, make sure the very first Path is selected, click Stroke Path. Set Line Width – 10px, click stroke. Go to Filters / Blur / Gaussian Blur. Enter 17px. Set this layer to Grain Merge and reduce the Opacity to 80%. Go to Paths, load the selection from the first path. Go to Select / Invert and press Delete key on your keyboard see fig 21. 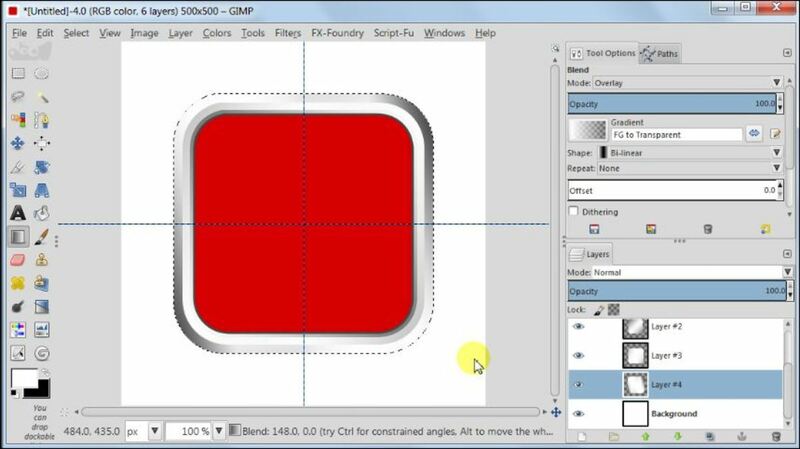 Select top layer, create a New Transparent Layer just above it. 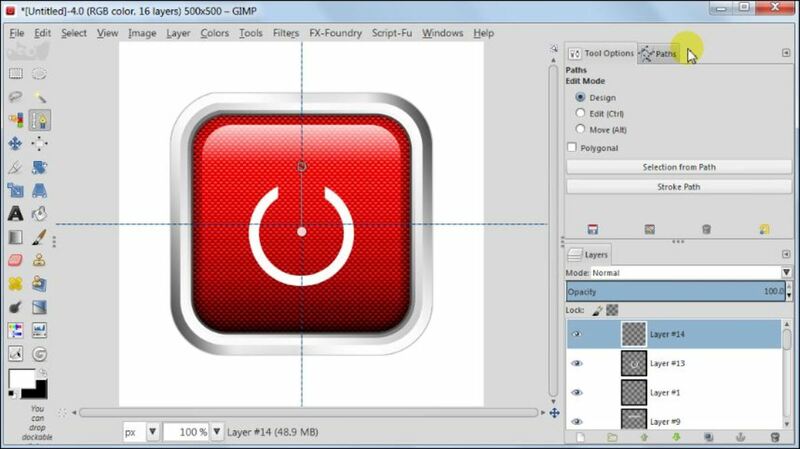 Create a medium size circle in the middle of the image. Go to Tool Options, set Size to 130px. Go to Paths and create a new Path from the selection. In Paths click on Stroke Path. Set Line width to 14 px. Now you should have a white circle in the middle of the button see fig 22. 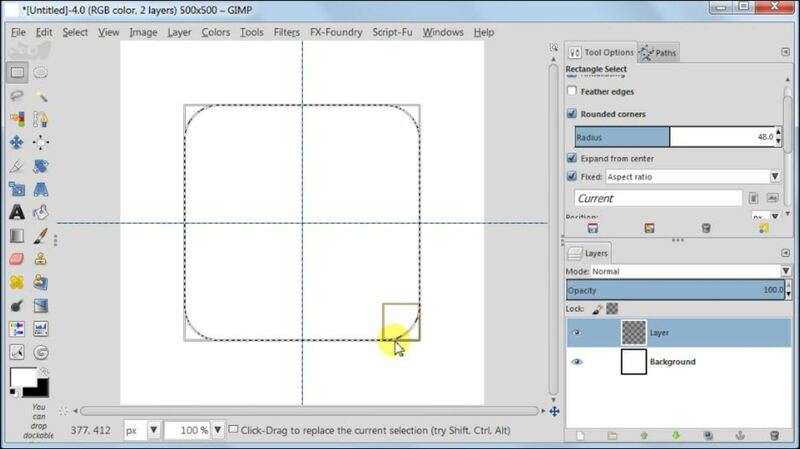 Take Rectangle Select Tool, in Tool Options uncheck Rounded Corners. Make a selection like in fig 23, then press Delete key on your keyboard. 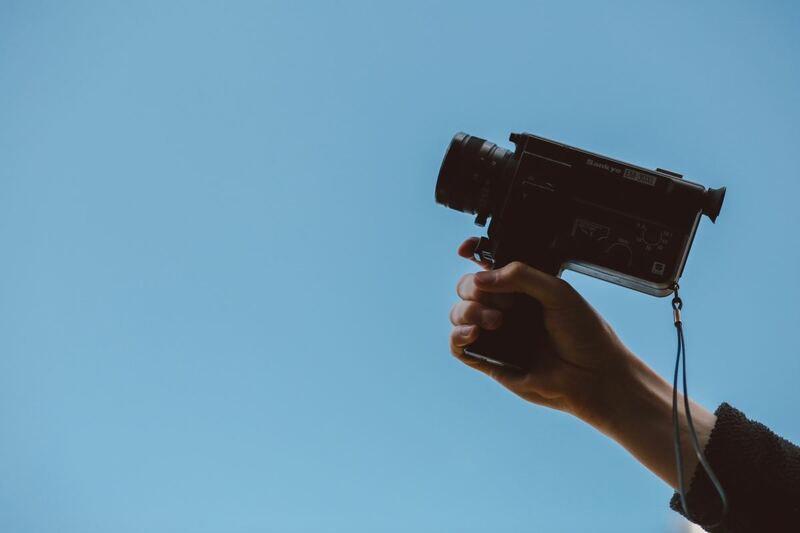 Get rid of the selection by clicking anywhere on the empty canvas around the image. 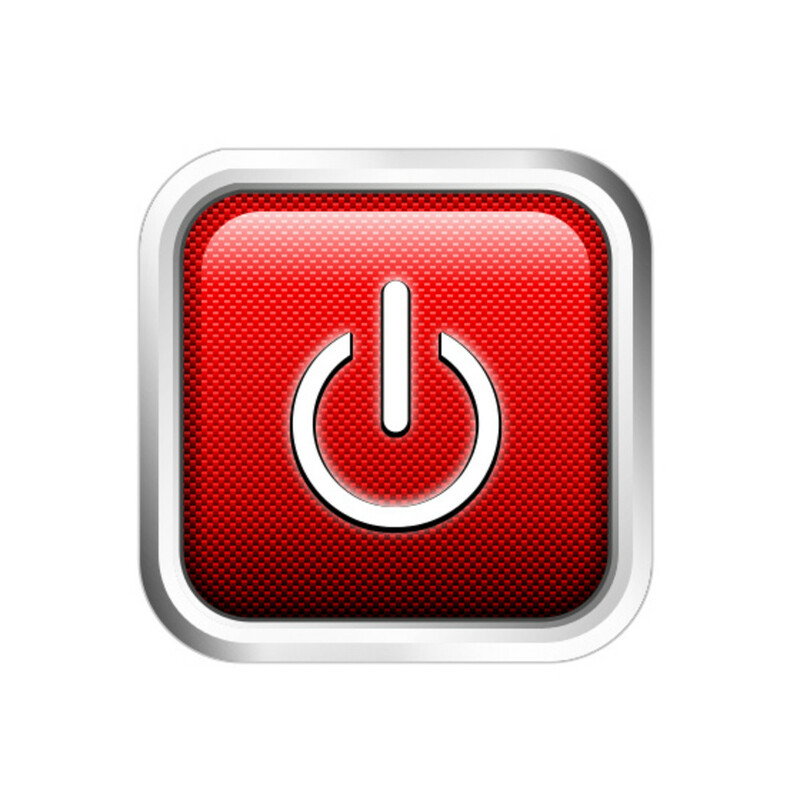 Take Move Tool, click on the image to activate, then using arrows on your keyboard, move the white circle 0.5 cm down. Take Path Tool and set two points like in fig 24. Go to Paths, click Stroke Path. Line Width – 17px. Line Style / Cap Style / Round ending (middle icon in the top row). Right click on the layer with line, Merge Down. Right click on the layer with white switch symbol, Alpha to Selection. 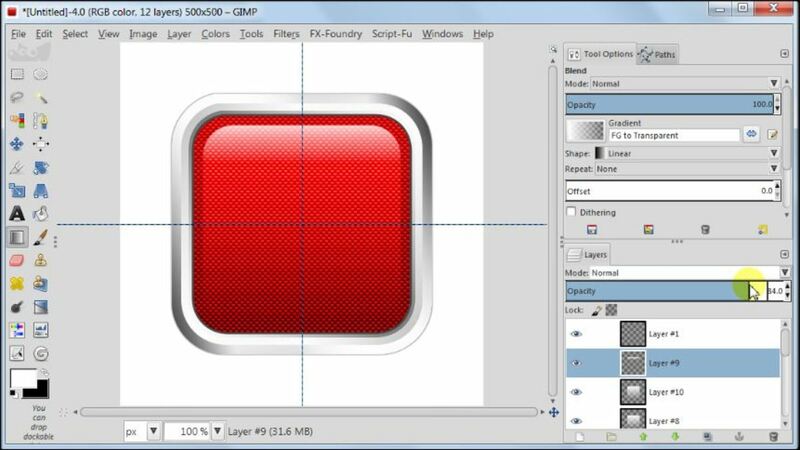 Create a New Transparent Layer, move it below the symbol by using the green arrow at the bottom of the Layers Tab. Set your Foreground to Black. Select / Grow, enter 2px. Take Bucket Tool, in Tool Options change Fill type to FG colour fill and fill the selection. Take Move Tool, click on the image to activate, then using arrows on your keyboard, move this layer down by 2 px (clicks) see fig 25. 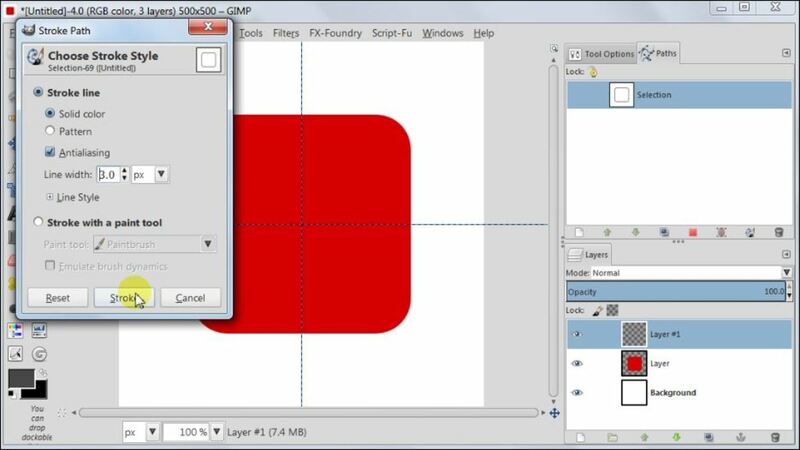 Select the layer with white symbol, duplicate it by going to Layer / Duplicate Layer. Call this layer Blur then move it below the layer with black symbol. Go to Filters / Blur / Gaussian Blur. Enter 15px. Duplicate this layer see fig 26. 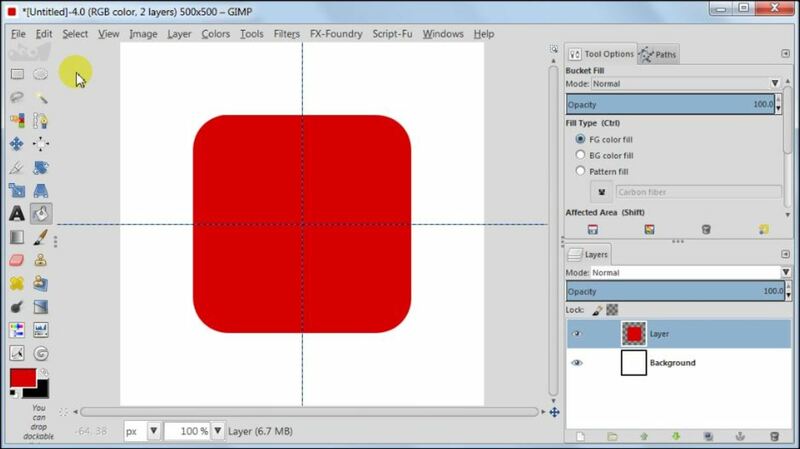 If you want to save your button with transparent background, delete background layer, then go to Image / Merge Visible Layers. Next go to File / Export (for GIMP 2.8) / give name / save with .PNG extension. If you want to save your button with background, do not remove the background, just go to Image / Flatten Image. 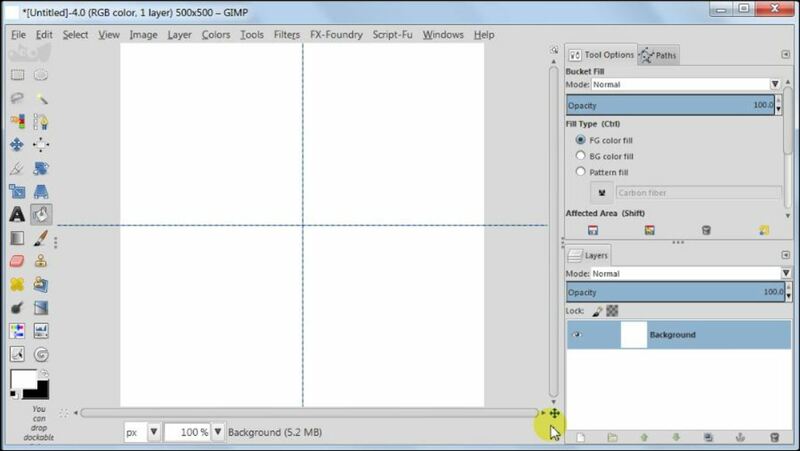 Next go to File / Export (for GIMP 2.8) / give name / save with .JPEG extension. excellent guide and excellent result. 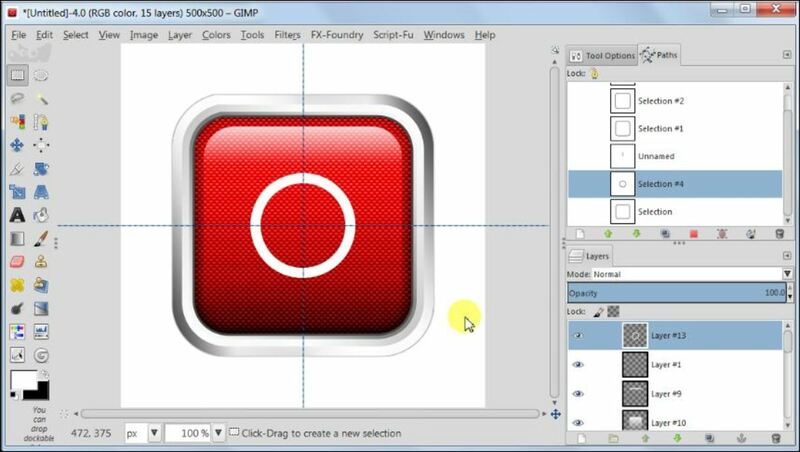 I tried to use this guide to create a button like this but with the size 350x80pix. but I could not. This is great. My daughter does a lot of digital art and design and I know she has some experience with GIMP so I am going to send this link to her. :) Voted up, of course. "Turn this selection to Path by clicking on the third icon on the right see fig 10. Load selection from the Path we just created by clicking on the third icon on the right." On the last part you mean the fourth icon, correct? It was confusing because you mean two different icons but you keep referring to them as the same (third) one. Otherwise it was a great tut. @Confused I guess you mean the red square icon "Load selection from the path", which is forth icon if you count from the right side. A little tip, when you use GIMP if you didn't change anything in the Preferences then you should have this: when you point a mouse over an icon, a small window/line should appear to explain what the button is for. In the initial steps you keep saying click on the third icon from right but then you say click on the one next to it. Could you please clarify? Nice Tutorial. 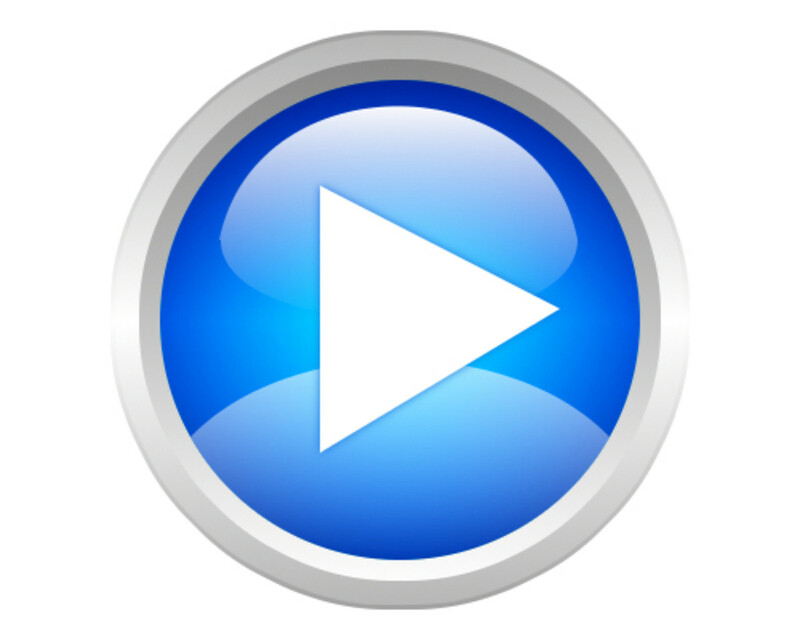 Can you describe how you would make the button looked as if it has been pushed / pressed ? great tutorial. Thanks a bunch!! I'm just starting out in designing websites and this tutorial helped me a great deal with some banner designs.